Jaquito: Custom Jaquitos -- choose your design! Custom Jaquitos -- choose your design! 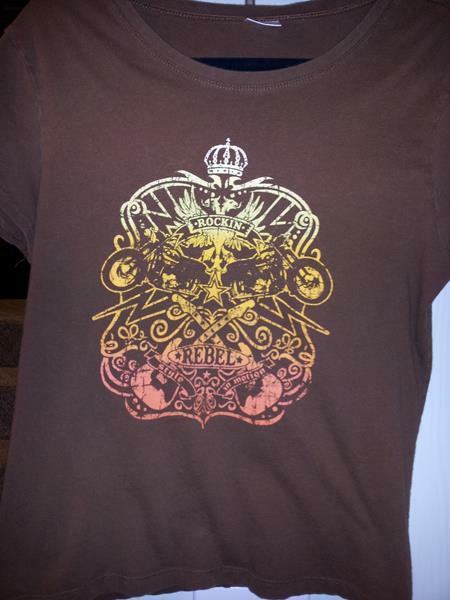 "Rockin' Rebel" brown tee. Would look great on a brown or dark denim jacket. 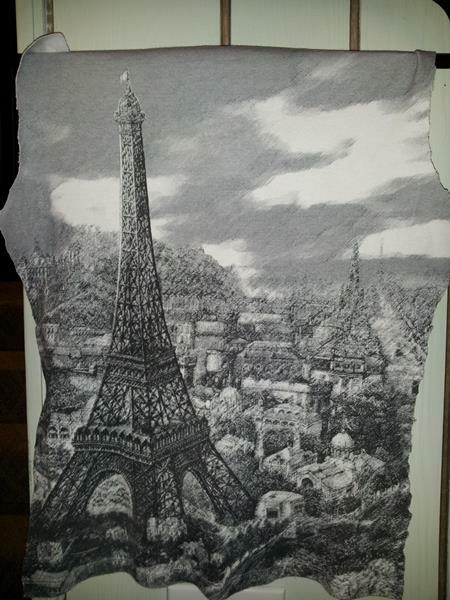 Black and white Eiffel Tower tee. The sparkly front of this t-shirt can be found on the back of a light blue corduroy jacket, in my November post -- that's why the back is shown already cut out. 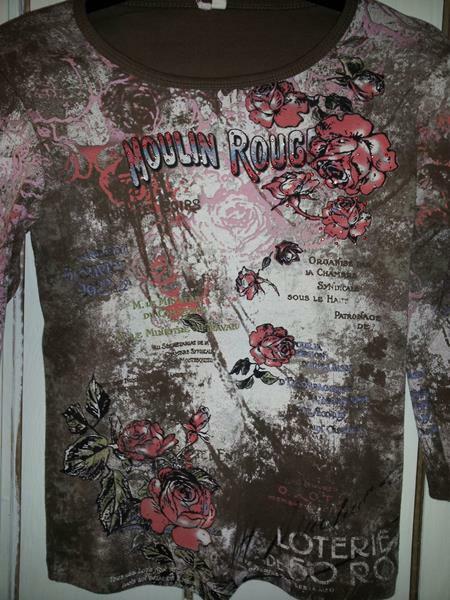 This Moulin Rouge t-shirt has two sides: the front is sparkly, while the back is subtle. 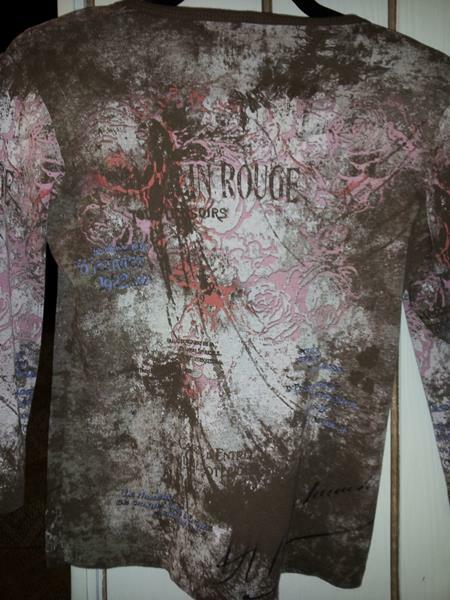 Would look great with brown, pink, red, or denim. 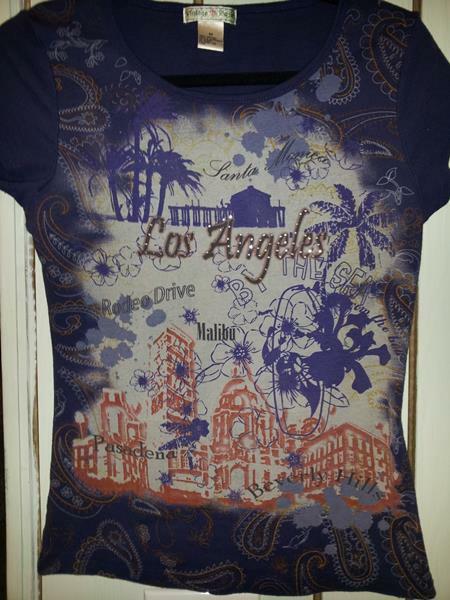 Navy blue Los Angeles tee. 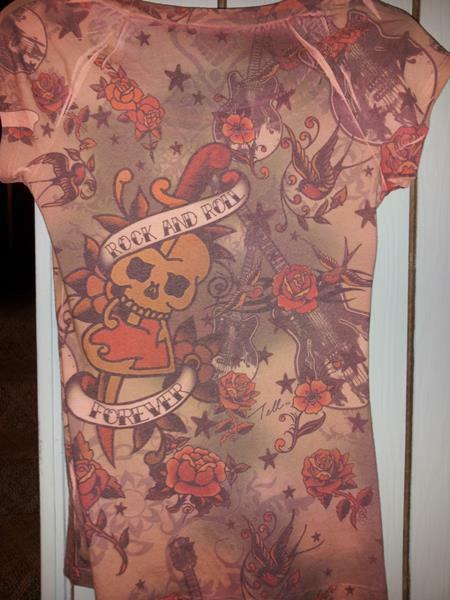 Would look great on a denim or a neutral khaki jacket. More tattoo art! 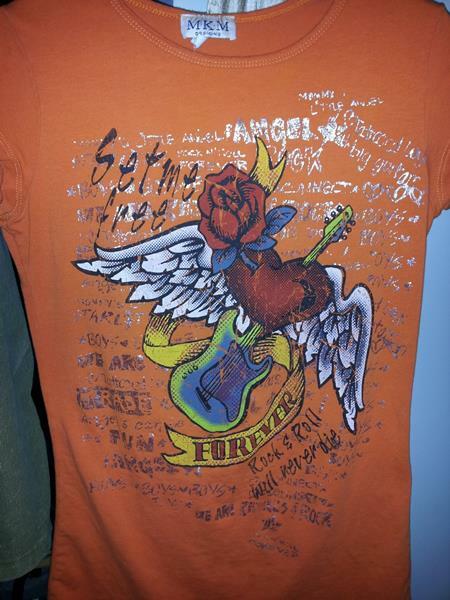 "Rock and Roll Forever" tee would look great on denim, brown, or orange. Even more tattoo art, with a BRIGHT orange background!